Dr. Brad Krivohlavek is a native of Fremont, Nebraska. After receiving his degree from the University of Nebraska College of Dentistry, he immediately began his dental practice in Norfolk. He is a member of the Nebraska Dental Association (NDA), American Dental Association (ADA), North District Dental Society, and the Sioux City Dental Society. In 2010, Dr. Krivohlavek was awarded a Fellowship in the American College of Dentists, the oldest national honorary organization for dentists, founded in 1920 to recognize dentists who have made significant contributions to the advancement of dentistry. The organization’s mission is to advance excellence, ethics, professionalism and leadership in dentistry. "Dr. K" is also active in his community. He is a member of the Northeast Area Jazz Ensemble (in which he plays drums), Norfolk Community Theatre Board, Norfolk Noon Kiwanis Club, Teammates, United Way Board of Directors, and is part of the Exec Board for the Norfolk Area Chamber of Commerce. He is an active member of Christ Lutheran Church and served on the Norfolk Public Schools Board of Education for 30 years. Dr. Krivohlavek and his wife, Brenda, have three adult children and love spending time with their eight, soon to be nine, grandchildren. 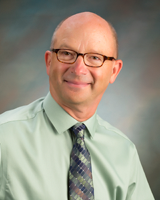 Dr. K enjoys golf, tennis, movies, reading, and walking their dog, Quincy, in his spare time.